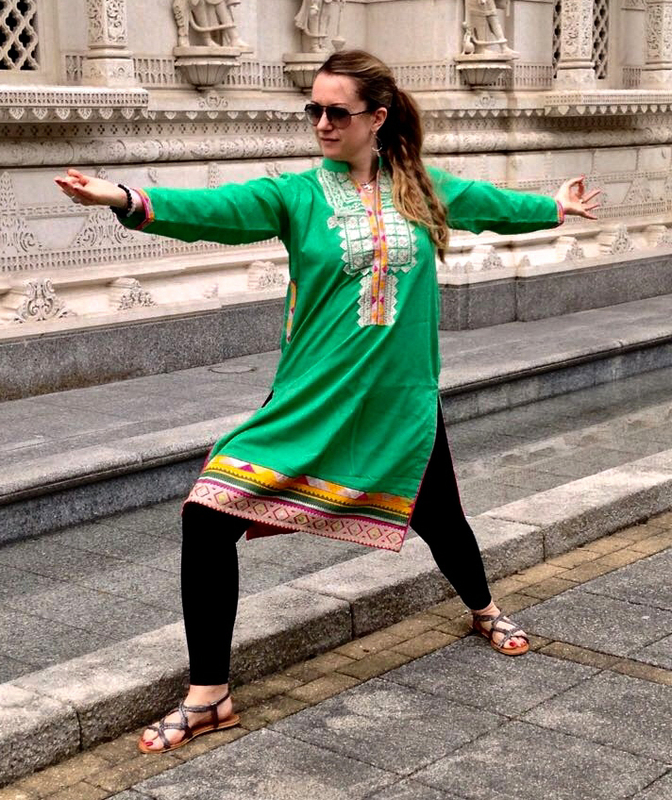 Claire originally studied in Mysore, India with Noah McKenna and Yin Yoga with Norman Blair at Yoga Campus. Currently she is studying PranaFlow Vinyasa with Alessandra Pecorella at Adyita school and starts her 300hrs advanced training in October 2018. Pranaflow is a branch of yoga developed by Shiva Rae that stems from Krishnamacharia's teachings and integrates the tantric roots of Hatha Yoga with Ayurveda, Bhakti and somatics. Claire's yoga classes are creatively themed and alignment based. Reflecting her dual passions of yoga, art and athletcs she enjoys weaving anatomy based Vinyasa alongside structured imaginative sequences. Inspired by the 5 life-giving Elements -Earth, Water, Fire, Air, Ether - and intrigued by the mythologies of Hindu Deities her classes are always varied, evolving and carefully designed. Morning Yoga - Will involve a 90 minute theme based dynamic vinyasa flow class which will take place in the indoor air conditioned shala. The morning class will involve, pranayama, mantra, philosophy, meditation and asana. Invigorating, energising and fun the morning class will set you up for the day. Afternoon Yoga - We will be practising yin yoga, pranayama and meditation which is designed to allow you to deeply relax, stretch and chill out. There will also be optional creative activities during the day which will include how to draw a mandala and yantra of your own design. There are also possibilities to have one to one sessions in yoga or pilates.